Here are my two pieces that will go to auction to benefit WKNO TV Channel 10 Memphis, our local public television station. This is Golden Choker. I have listed it for $275. 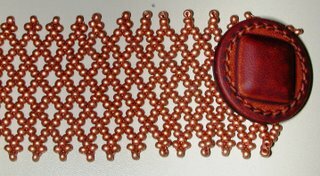 It is 13" long and 1.5" wide and took over 12 hours of studio time. 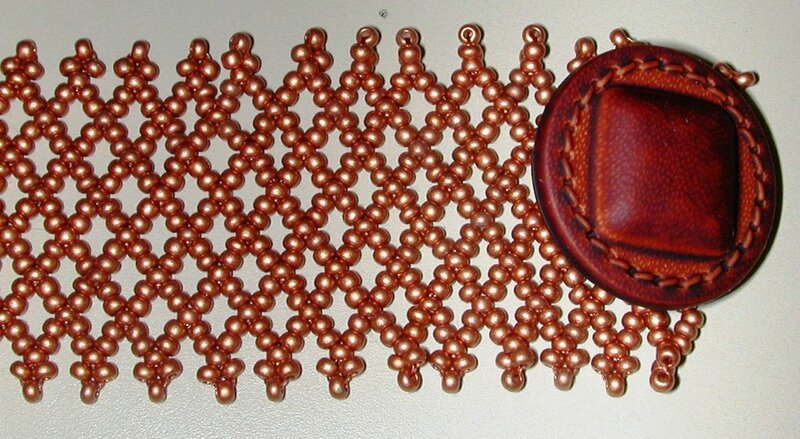 Copper colored glass beads, goldstone cabachon, leather button closure. 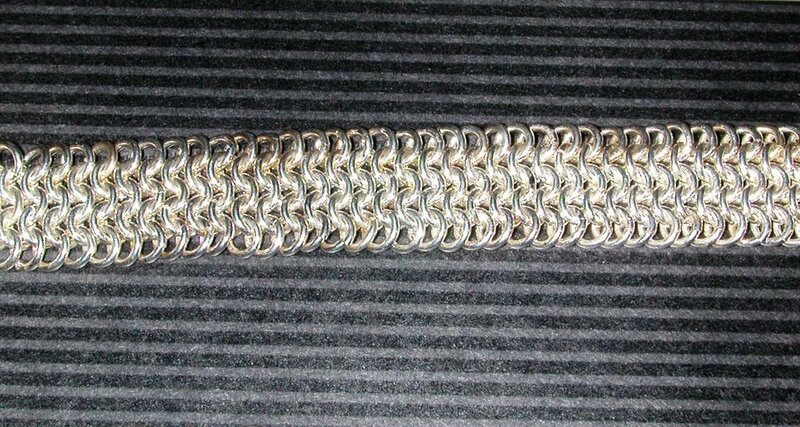 This is Here There Be Dragons - chain maille bracelet in dragon scale pattern. I have listed it at $125. 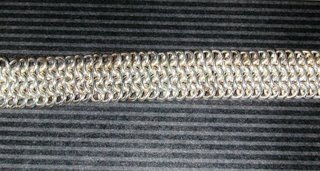 Sterling silver, 7.5" long and 1/2" high. 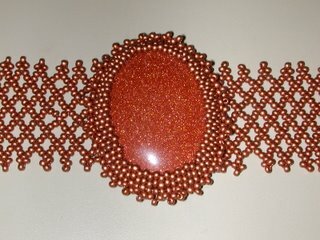 This bracelet took approximately 6 hours of studio time. The auction airs in November. I had to have the pieces in early for the preview booklet and CD that goes out to the high dollar bidders from last year and also for the artists party which also is for the high dollar bidders. 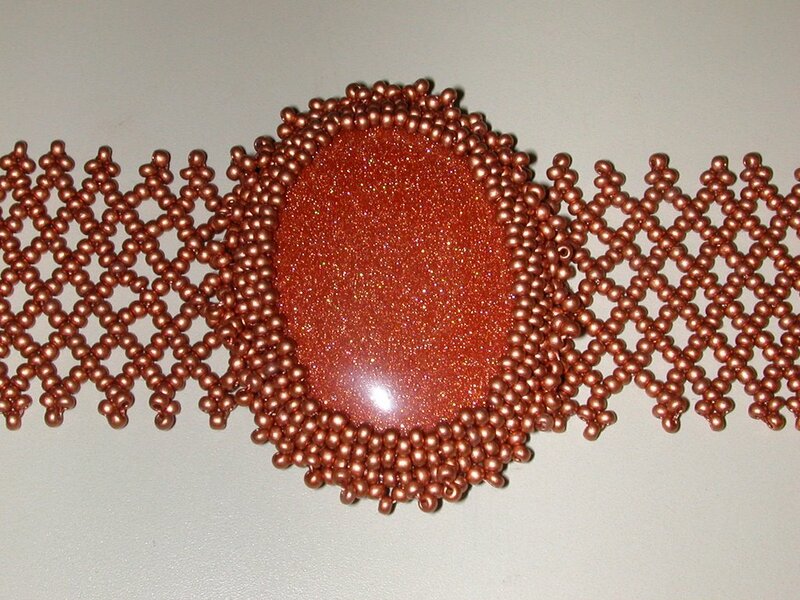 As usual, my bead crochet mentor never ceases to amaze me with her artistry. The pictures don't do justice to the pieces.